We are proud of being recognized by major publications! Read what they have to say about us. "Saving the Rain Forest With Cammie and Cooper is a commendable project and a unique way of looking at the first steps of [environmental] education. Especially appreciated the Note to Parents and Teachers at the end." "Cammie and Cooper remind us that we each have the power to stop tropical deforestation by using our voices. Each child and family…can make sure that the magical rainforests of the world—and their extraordinary wildlife—will be around for future generations to explore and enjoy." "Albert is nationally recognized for her many literary contributions that serve to enlighten and educate children and adults alike regarding environmental concerns. [She] continues her strong and tireless campaign to teach children how to care for the Earth and its inhabitants." our planet and what they can do to help save the rain forest. It is very inspiring." "Cammie and Cooper embark upon an informative and inspiring adventure that will engage the rapt attention and enthusiasm of children ages 2 to 7. 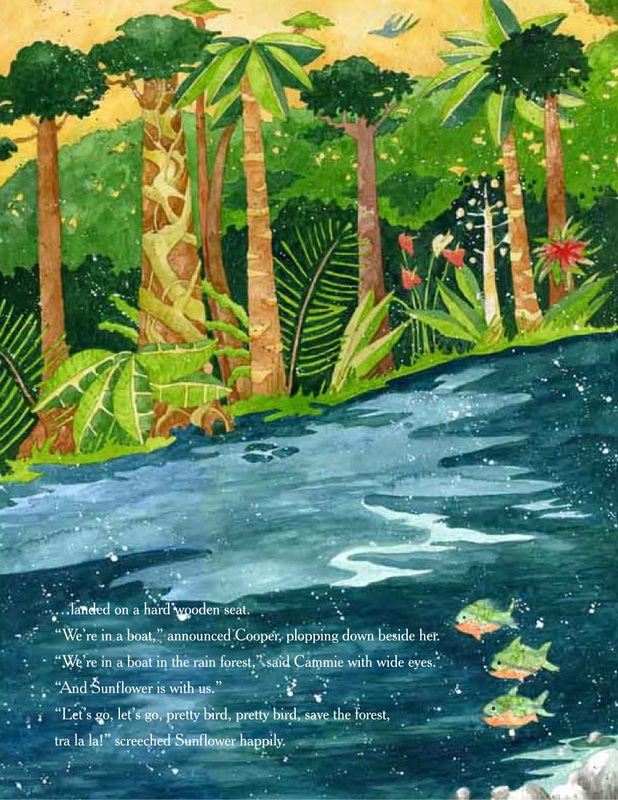 Saving the Rain Forest with Cammie and Cooper was written specifically for the purpose of engaging the imaginations of children who want to experience adventure while doing important good in a world that needs its rainforests." 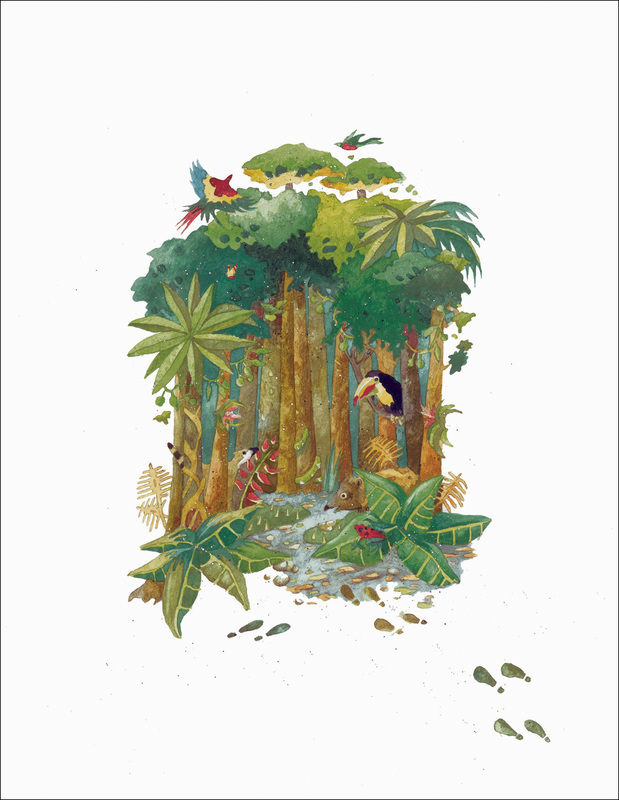 "This picture book provides a short story for young students to learn about the animals of the rain forests and the ways children can help save the rain forests. 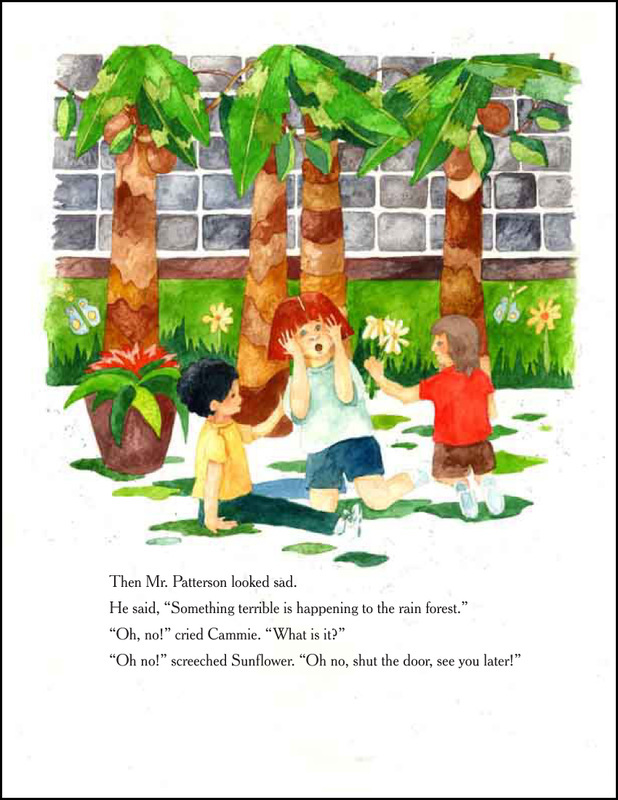 Readers follow Cammie and her brother Cooper as they travel magically to the rain forest. The back of the book offers a Note to Parents and Teachers along with some deforestation facts and a list of 10 things children can do to help save rain forests. A teacher's guide with additional activities and extensions can be found on the Trickle Creek Books web site." "The story was great. I would recommend it highly." "Colorful pictures and fun, informative story." "Good story, factual with a touch of whimsy." "Enjoyed the dreamlike quality of the story. It left a lot of room for discussion." "The descriptions in the book of turning the classroom into a rainforest were easy to relate to since we do the same in our classroom." "Liked the suggestions at the end of the book." "The topic is definitely an important one." This is a picture book suitable for young children ages 2-7. It includes a Note to Parents and Teachers and a list of ten things we can do to help save rain forests.